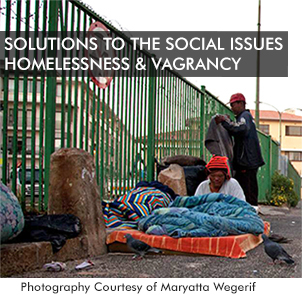 The Muizenberg Improvement District (MID), as part of their social development policy, has a full-time Social Development Officer focusing on support and development resources and referral networks for street people/children, day strollers and the homeless. The MID promotes responsible giving and practical support to street people.We know you want to help, but PLEASE DO NOT GIVE MONEY or any direct support to children who beg. See other ways to help below. The role of the social development team is to engage and record the needs of street people in order to assist them with access to the necessary services, in collabortion with referral partners and stakeholders. In this way the MID offers strategic support and can implement a workable protocol for social development which is one of four mandated top-up services an improvement district should provide in collaboration with City and Provincial departments. The Muizenberg Open Door Social Support Clinic runs on a Monday from 12:30 – 15:30 and Thursday from 8:30 – 12:30. It is a safe, private space within the Clinic building in Atlantic Road. Those who want assistance to get off the street can access practical help with any social issues. MID Social Development Officer, Tasneem Hoosain, also provides assistance with inquiries about how to access social services like applications for social grants and IDs, referrals to shelters and opportunities for employment. While the focus is on assisting street people, all residents can make use of this suppport service which extend to any social issue, for example, child protection, elderly care or substance abuse. No appointment is necessary as the open door support services run on a first come, first served basis. The MID promotes responsible giving and understands that there are many residents who want to do something tangible to assist. There are a range of ways you can be involved. For example, you can sponsor a person who needs an ID from Home Affairs or help transfer clients to shelters. Please contact Tasneem Hoosain if you want to help in ways like these. If you see a homeless person in distress, you can also contact the City’s dedicated call centre for homelessness on 0800 872 201 for assistance. We know you care. We know you want to help, but PLEASE DO NOT GIVE MONEY or any other direct support to children who beg. Giving money to children who beg, park cars or are part of a music or dance group encourages these children to stay out of school, leave home and become street children. Begging promotes trafficking, exploitation and the abuse of vulnerable children. It introduces children to street life, substance abuse and drug addiction. It also makes them vulnerable to sexual exploitation. Giving direct support, like food and clothing does not help as it is sold or exchanged for drugs. It also keeps children out of the services set up to help them and affirms street life as the right choice. The Western Cape has a comprehensive set of statutory and other support services – specialised organisations that assist chronically abused, neglected, exploited and vulnerable children drifting towards street life. Begging offers children no hope and no future.